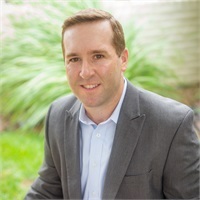 Trey Liebau, AIF, is the President and Founder of Liebau & Greer Wealth Management Group. Responsible for overseeing the management of the risk-managed investment strategies, Trey works closely with his clients to assure continued plan success. Working in the financial services industry for over 20 years, Trey is an Accredited Investment Fiduciary and holds Series 6, 7, 63, and 65 securities licenses. A strong attention to detail and focused work ethic, Trey’s desire to be his own boss began at a young age. Prior to beginning his career in financial services at the age of 19, Trey ran his own lawn care business in high school. Outside of the office, Trey enjoys spending time with his wife and kids, playing golf, and hanging out at the family lake house.